In 2008, at the first Interministerial Conference for Health and Environment in Africa in Libreville, Gabon, ministers of health and environment from 52 African countries signed the Libreville Declaration. The Declaration aims to secure the political commitment as well as institutional and investment changes required to reduce environmental threats to health. 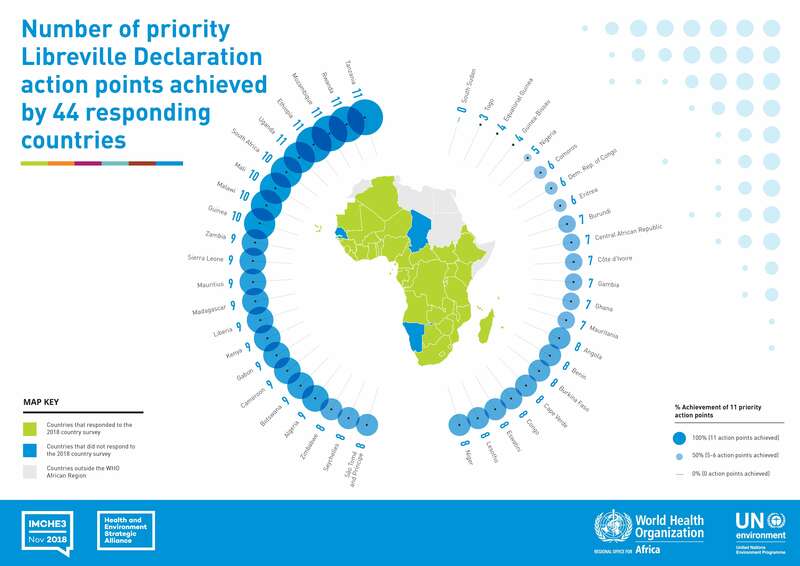 It also commits participating countries to 11 priority actions for addressing these threats through an integrated approach to policy-making in the health and environment sectors. 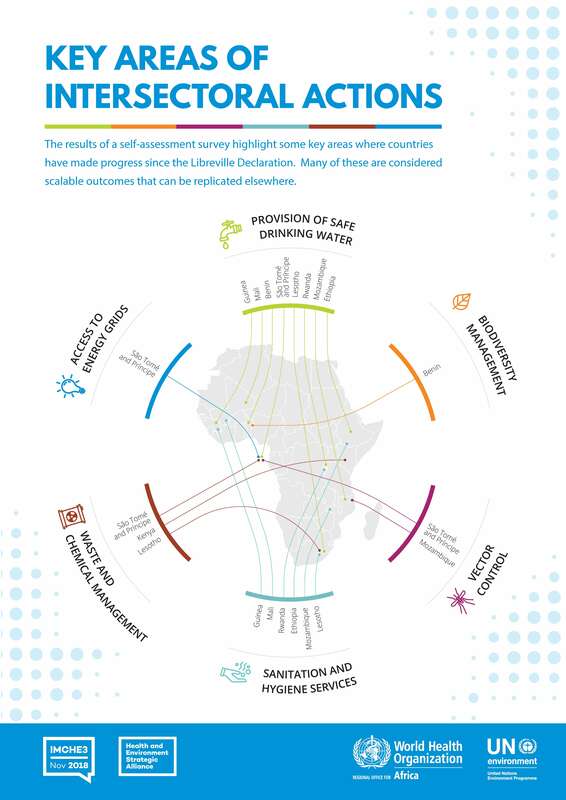 The Synthesis report on the situation analysis and needs assessments (SANA) for the implementation of the Libreville Declaration on Health and Environment in Africa serves as a benchmark for assessing the progress made in achieveing these 11 priority actions. 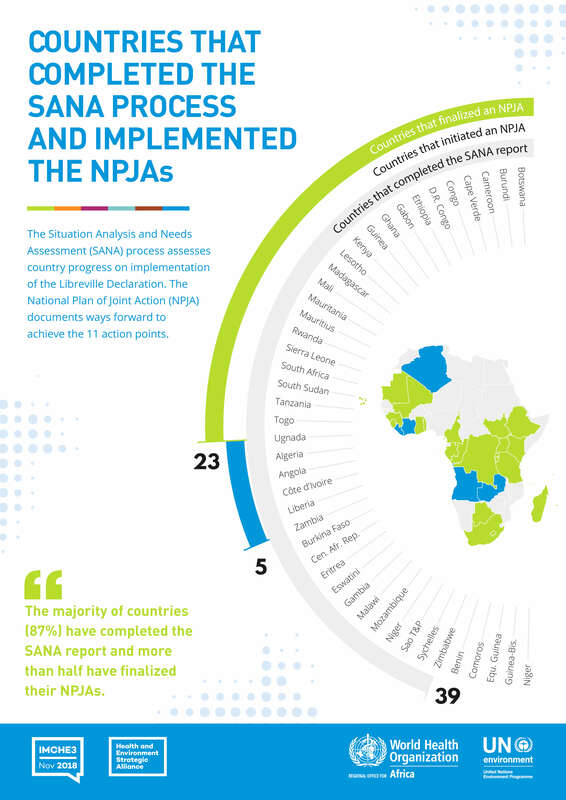 Significant efforts have been made over the past decade, with a number countries undertaking and completing the process of Situation Analysis and Needs Assessment (SANA). The first synthesis of the outcomes of the SANA process was performed back in 2010, using SANA reports from 12 African countries. Another update, this time including information from 31 African countries, was released in 2015. 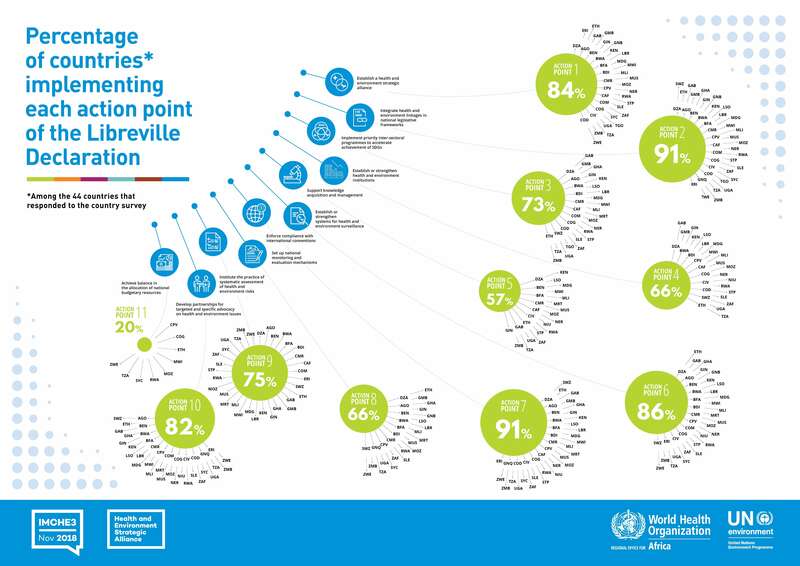 The latest report provides an account of the findings of the SANA process in 42 African countries – the most in-depth assessment of environment and health linkages of its kind.